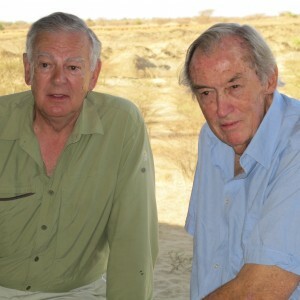 Donald Johanson and Richard Leakey together during a visit to TBI's Ileret research facility. Richard Leakey and Donald Johanson will share the stage at a historic event hosted by the American Museum of Natural History in New York City. Click here to view details about the event, including how to get tickets.